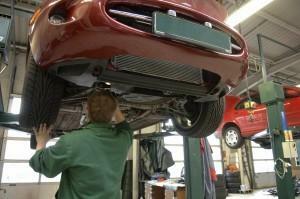 Caring for your car on a regular basis can greatly improve the life of your vehicle. 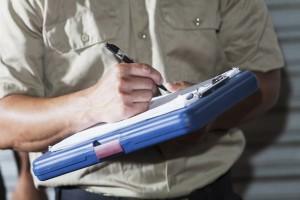 As you put on miles, your vehicle needs to be inspected for worn and deteriorating parts. It needs to have fluids filled and filters cleaned. Keeping up with regular maintenance on your car will catch things before they go wrong and keep your car in the best shape possible for a long life. 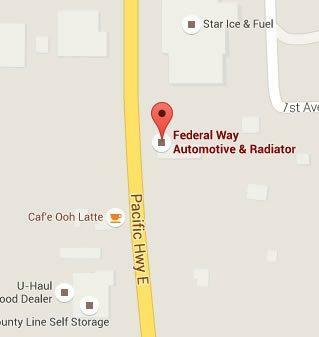 Bring your car to Federal Way Automotive & Radiator for tune ups Fife and know your car is getting the best care available. Our multi-point inspection and tune up ensures that we catch things before they go wrong. If there are any systems with a problem, we are able to catch them before they become a breakdown that leaves you stranded. Improved gas mileage – When your filters and fluids are cleaned and everything is lubricated, your car runs more smoothly. It also runs more efficiently and saves on gas. Saving money long-term – When you invest in regular tune ups, you are catching problems before they get bad. When a part gets replaced before it becomes a major issue that causes further damage to your engine, the tune up has saved you a costly repair. Longevity – A car that is inspected and cared for on a regular basis will last longer. Not having oil changes and other care puts stress on your car and many of its systems. Over time, this creates more wear on your vehicle as a whole. Safety – Catching things before they breakdown means avoiding getting stuck on the road or having problems while you are driving. Adhering to warranty requirements – Many vehicles require specific upkeep in order to fulfill the requirements of the warranty. Getting regular tune ups should keep your vehicle in good standing to meet those requirements. All of our tune ups fife technicians are ASE Certified. We are also an AAA Approved auto shop. All labor and parts are backed by an O’Reilly 12-month/12,000 mile warranty. We uphold the highest standards so our customers can feel confident they are getting the best service in the area. Bring your vehicle to us for regular maintenance and tune ups and rest assured you are doing all you can to keep it in great shape. Contact us today for your next tune ups Fife.